Born and raised in Shrewsbury, Daniel started his career at Michelin-starred 1 Lombard Street in London as an apprentice under mentor Herbert Berger. He left the restaurant in 2005 as chef de partie. Following 1 Lombard, Doherty experimented with modern cooking at Noble Rot. Soon after, he moved to Roux Fine Dining, where he cooked Michelin star quality cuisine. In 2008, Doherty joined The Ambassador as head chef, earning two AA rosettes shortly after. He subsequently joined The Empress as head chef, cooking modern British food. In 2010, Doherty opened The Old Brewery, a restaurant and microbrewery in Greenwich. It was named Best British Restaurant by Time Out in 2011. 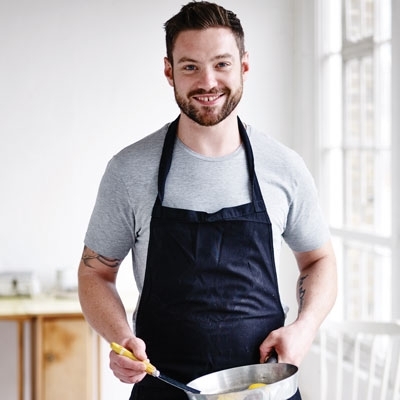 Ready for a new challenge, Doherty accepted the role of executive chef at Duck & Waffle, London’s first 24-hour gourmet dining restaurant, in 2012. Doherty’s first book, Duck & Waffle was published in 2014 to rave reviews. He released his second book, Toast Hash Roast Mash in 2016.